Hey everyone, it's the first Wednesday of the month and time for a brand new Scrapy Land Challenge #111. The theme is always Anything Goes using any brand of die that Scrapy Land sells. Today's project is a CAS card, but looks pretty elegant in person. And it was so quick and easy to make! 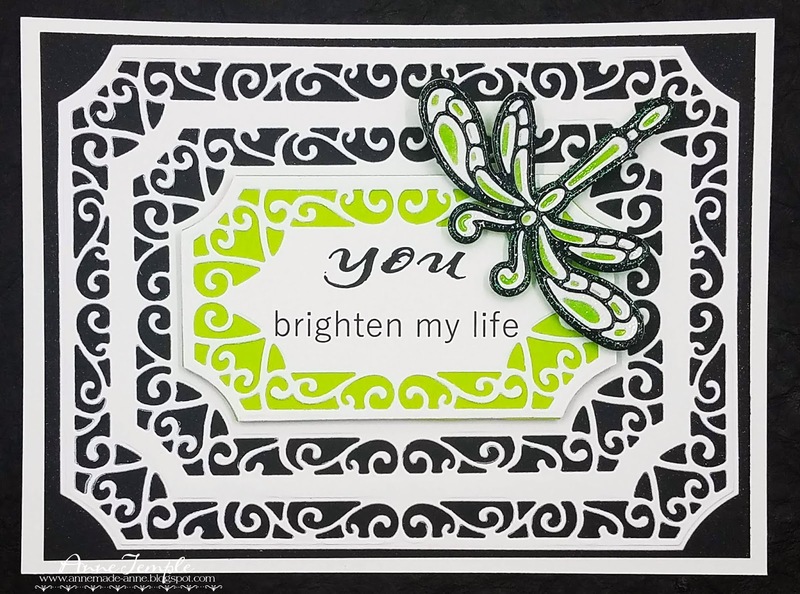 There were only two die sets used to create this card: Tonic Studios: Swirling Frame Layering die set (most any of these would also work) and Sue Wilson Designs: Triple Layer Collection Dragonfly. I started out by layering the frame dies onto a piece of white cardstock and die cutting them out. I would recommend doing one or two dies at a time instead of all the white pieces like I did. It was very hard to crank my plates through with everything on them. I pop dotted the top layer and added colored cardstock behind it. Once the dragonfly was layered, I wanted to add a bit more sparkle to it. I covered the entire piece with VersaMark, making sure to get the lower layers covered too, and then added Hero Arts Sparkle embossing powder over it and heat set it. This piece is also pop dotted above my sentiment, which was computer generated. Now it's your turn! Create any type of project you like (CAS, layout, mixed media, altered art, etc.) and upload it to the Scrapy Land Challenge #111 by April 14. There are two winners picked for each challenge. While you're there, be sure to say hello to all our brand new Designers! I know they are looking forward to meeting you too. Beautiful card Anne! 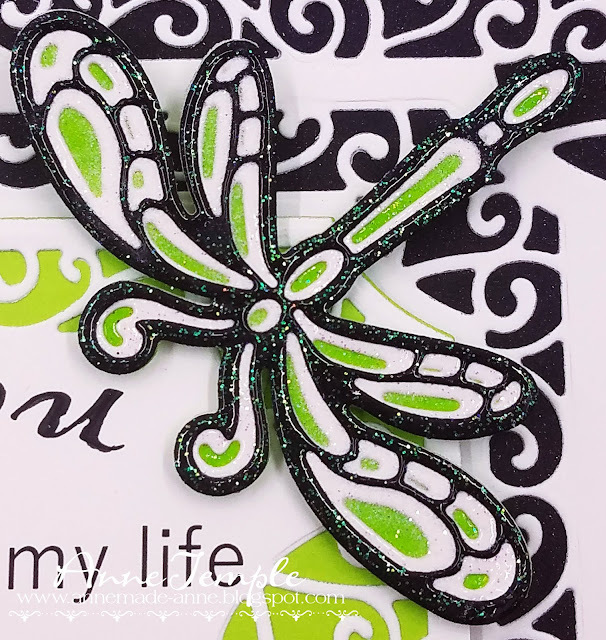 I love that dragonfly on your card and those swirl dies look amazing behind it! Beautiful dies for sure Anne. They make for an elegant card and your sparkly dragonfly is gorgeous. Great pops of green on this Anne. It makes it very striking. Love the card. Beautiful card Anne . love this sparkly dragonfly ! All content including artwork, photographs and text is © Anne Temple, 2009-2019, unless otherwise stated. Please feel free to scraplift my artwork (and give credit) for your own PERSONAL use. 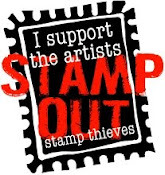 Please DO NOT use or copy my artwork for publications, contests or for selling purposes (that is stealing). Thank you. Visit Anne Temple's profile on Pinterest. FTC disclosure guidelines regarding bloggers who endorse products. Some products mentioned on my blog have been provided to me at no cost; however my promise to you is that I will only endorse products I fully believe to be of good quality and I will never knowingly provide misleading information. 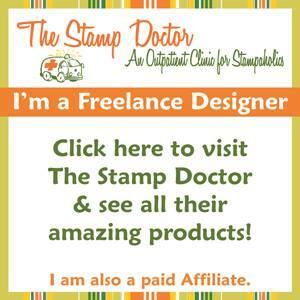 I participate in an Affiliate Program with The Stamp Doctor and Whimsy Stamps. When you click from my blog, I am given a small commission AT NO COST TO YOU WHATSOEVER.